Seecamping Taching am See si trova a Taching am See, Baviera, è situato a un lago. Questo campeggio dispone di piazzole delimitate, sia ombreggiate che, senza ombra e piazzole poco ombreggiate. Seecamping Taching am See si trova nei pressi di una spiaggia di sabbia e di una spiaggia sassosa. È possibile affittare roulotte. Il campeggio dispone di un parco giochi e di un campo sportivo. Per gli sportivi, il campeggio prevede diversi percorsi in bicicletta. Nelle immediate vicinanze potete fare il bagno nel lago. Al campeggio Seecamping Taching am See è possibile praticare windsurf. Ogni anno un ispettore visita il Seecamping Taching am See, controllando oltre 200 tra attrezzature e altri punti di interesse del campeggio. L'ispettore è un dipendente ACSI e non lavora per il campeggio. Great reception staff, all speak english and are very helpful. Site is located right on the edge of the Tachinger See which is a beautiful small lake about 50km east of Chiemsee. Access to the lake is direct from the site and it is safe to swim, the water is clean and glacier blue. The views from the site across the Alps are stunning.Typical of German sites there are a lot of seasonal pitches but they are neat and well maintained. The touring pitches are quite large and well marked out, you can set your van at any orientation with plenty of space for the car. We were given a choice of shaded/part shaded pitches and all had easy access to the facilities. There are plenty of showers and toilets and we never had an issue with waiting for either even though we were there at a bank holiday weekend. The sanitary facilities were spotless being cleaned regularly throughout the day so were never closed for cleaning (great idea). Plenty of hot water, large cubicles with room for drying off. Laundry facilities reasonably priced however all instructions were in German only which made things a little exciting on occasions.........the staff however were always on hand to help if things got difficult. There is a tourist information office on site but again all the brochures are in German only but the assistant spoke good english and was helpful. The on-site restaurant serves Italian dishes at very reasonable prices and the food we had was simple but excellent. Quick friendly service and take away pizzas are available. Superb cycling routes direct from the camp, we rode all around the lake approx 30km and all on designated paths. Bread can be ordered daily at the reception area, nearest supermarket Waging am see about 10km from camp. Great site would definitely recommend. 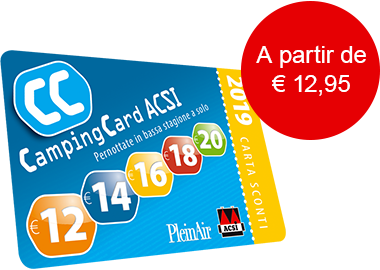 ACSI Eurocampings invia la tua richiesta di informazioni al "Seecamping Taching am See".